Want to spice up your mealtime routine this year and get to know Berkeley at the same time? Try packing a picnic. To help you get started, we compiled a list of picturesque picnicking places around town. Tucked between the Valley Life Sciences Building and Strawberry Creek is a lovely willow tree and grassy patch that couldn’t be more perfect for a picnic. This spot is close, convenient and oh-so-pretty. If a grassy picnic is not what you had in mind, head over to the Berkeley Marina for some sand and salty air. Whether you prefer to eat on sand, land or picnic tables, the marina offers it all. And don’t forget to bring a camera, because the view of San Francisco is spectacular on a clear day. Although it may sound like an oxymoron if you want to get away from the stress of student life, 4.0 Hill is an A-plus picnicking spot. The top of the hill is flat enough for a picnic blanket — any lower and you will have to look out for rolling students! 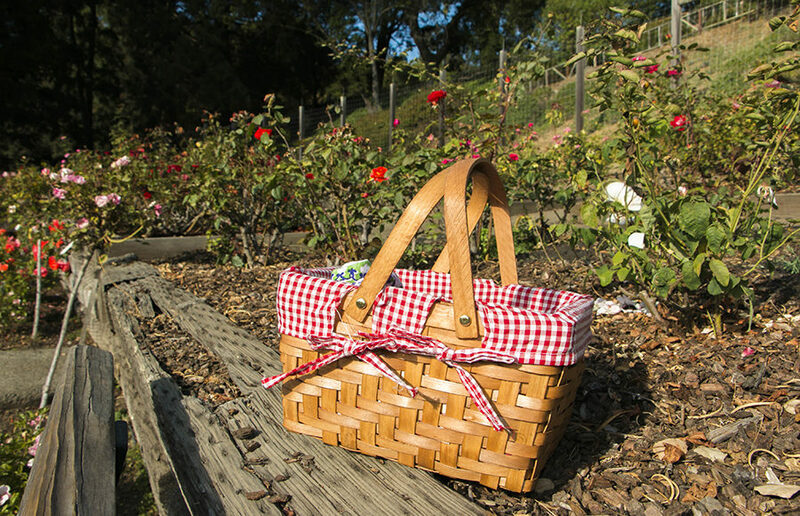 It’s hard to find a sweeter picnic location than the Berkeley Rose Garden, accessible by a short bus ride on the 65. The garden boasts 250 varieties of roses and more than 1,500 individual bushes. Not to mention, it has a terraced amphitheater blooming with picnicking potential and stunning views of San Francisco. It is hard to beat the original UC Berkeley picnicking spot: Memorial Glade. Its inviting lawn beckons students from all over campus to set down their picnic baskets and have brunch with a view of the Campanile and Doe Library. Contact Maya Eliahou at [email protected] and follow her on Twitter at @MayaEliahou.